Aiden will be a big brother in March. I’m due March 8th but it looks like we will schedule a C-Section sometime around March 1st. 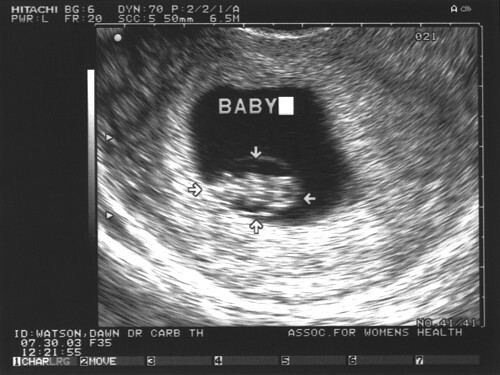 I went in and got a check up and ultrasound done on July 30th. Richard may be posting the ultrasound pictures soon. Both the baby and I are doing fine. I have been feeling nauseas but this time I have started on Zofran right away and take it daily. We do not want a repeat of what happened last time. To answer some questions you all are thinking or calculating. Yes the kids will be close in age. They will be 17 months apart. We have always wanted the kids to be close in age so we weren’t trying to prevent it. We figured it would happen when it was meant to be. As we have decided a long time ago we are stopping with two. Aiden is doing well. He is getting bigger and busier by the day. Each day he can reach a little higher. It keeps us on our toes. OK, I figured that for reference I would see how close others in the semi-immediate family are to their siblings. Interesting, huh? Oh and by the way, we are already nicknaming the new one "Cake". We've been calling Aiden "Pie" for quite a while and for whatever reason we've started a semi-pastry store theme here. The other day I was reading American Baby magazine and in it they were talking about the differences about boys and girls. They said that “the heart of a male newborn beats, on average, about eight fewer times per minute than the heart of a female newborn.” This got me thinking about Aiden’s heart rate and the new baby’s. 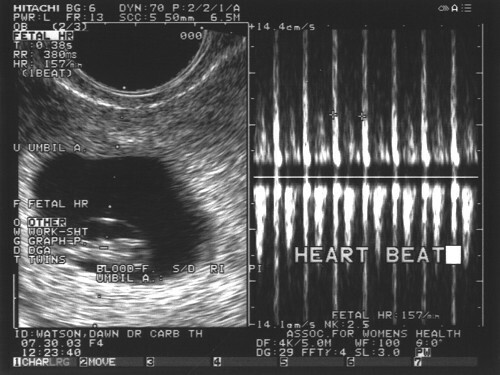 Aiden’s heart rate was 146 beats per minute at the first ultrasound and the new baby’s was 157. If this means anything or not only time will tell. Aiden is taking steps. He can take about 3 or 4 before he falls, but he is definately making progress. He walks between the coffee table and couch (although mostly just in that direction since he missed the coffee table on the way down once, well, missed with his hands, caught it with his face - I've never jumped up so fast). Anyway, he will hold on to the coffee table and take off in a direction for something of choice - he takes a few steps and falls. Definately progress. Officially he is 327 days old today. OK, as everyone theoretically knows, we are having another baby. Unfortunately, I haven't been as "disciplined" as I was with Pi's birth information. 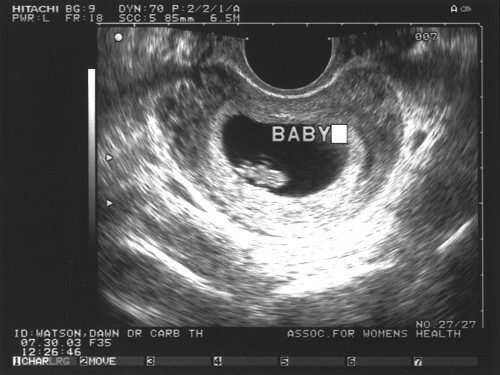 However, here are the ultrasound images (finally) from the 30th of July. Unfortunately, I missed this appointment with the Dr. HOWEVER, I have a really really good reason for it. During this appointment it was 100+ degrees around here and the A/C had died the day before. We were begging people to come out and fix it so that we could exist in here. At the time of this appointment, the A/C guy could only say that he would be there sometime that day, but not really when so I stayed behind with Pi and we watched the A/C repair guy fix our stuff.